The Dec. 18, 2017, effective date for the electronic logging device (ELD) mandate has come and gone, but fleets are beginning to realize that it didn’t mark the end of the ELD saga—it was the beginning of a new ELD era. The next mile marker on the road toward the mandatory use deadline is April 1, 2018—the date when enforcement officials can start putting trucks that aren’t ELD compliant out of service. The ELD experts that Fleet Equipment spoke with estimate that there are still a considerable number of trucks on the road that are not currently compliant—anywhere from 8% to 20%, representing between 250,000 and 500,000 trucks. “We don’t have hard data that gives exact numbers, but it is likely that there are a significant number of smaller fleets that are still using paper logs and are not in compliance with the mandate,” said Eric Witty, vice president of product for PeopleNet. “We saw an influx of inquiries from some of these fleets during Q4 of 2017 and just now has that begun to wane, nearly two months after the mandate went into effect. While procrastination and speculation are on you, if you don’t have an ELD solution, or maybe you have a solution in place but are having problems getting it off the ground, Fleet Equipment is here to help. Let’s get started. Sure, it seems like a no-brainer, but knowing how your ELD works and crafting a plan to implement it across your fleet is the first stride in working toward step two: teaching others how your ELD works. The first thing to know is that you’re not alone. ELD technology isn’t just new to you—it’s new to the industry and to law enforcement too. One of the biggest points of confusion today is the role of AORBDs. 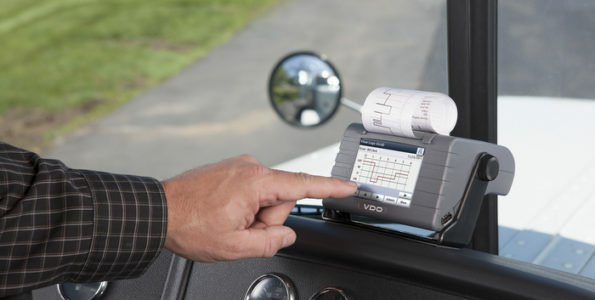 A quick refresher about the mandate difference between AOBRD and ELD: AOBRD was the ELD’s predecessor in terms of technology, and the FMCSA approved their compliance until Dec. 16, 2019, only on the condition that it was installed prior to the effective date of the mandate. Many fleets currently operating a full-featured AOBRD should start to consider how they plan to transition their drivers to ELD solutions. So, how has this two-pronged compliance approach impacted compliance today? 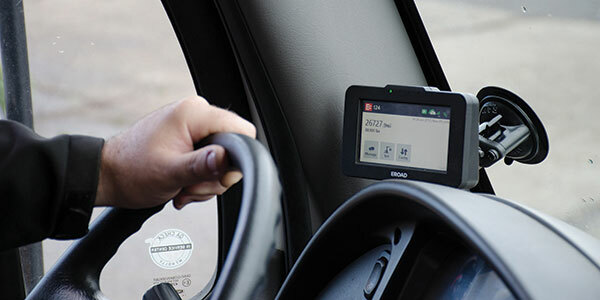 According to PeopleNet’s Witty, grandfathering in AOBRDs leading up to the full use mandate in 2019 has created challenges during roadside inspections, in part due to the huge number of ELD providers, which means that law enforcement officials are faced with navigating dozens of different types of displays—some are AOBRDs and others are ELDs, which can add to the confusion. If you’re breathing into a paper bag right now, it’s okay: Just tell yourself that you’re not alone. Your ELD provider of choice should be able to help you with any questions, technology issues or even lend an open ear to hear your concerns. How you interact with your drivers differs from other fleet operations, but ensuring that the men and women behind the wheel of your trucks understand your ELD solution should be a constant. Start with brushing up on the hours-of-service (HOS) basics. “What some fleets don’t realize is that the mandate does not change any of the hours-of-service rules. It only impacts how the HOS data is collected,” PeopleNet’s Witty said. Communication during roadside inspections is key. “If using AOBRDs, drivers need to be trained and equipped with proper documentation so that inspectors will not attempt to cite them for failing to produce electronic data file transfers,” GPS Insight’s Gaither explained. 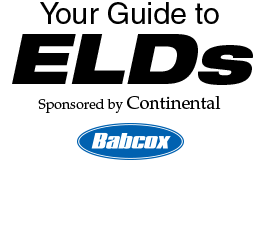 “ELD admins need to fully understand and train their drivers to understand the differences unique to ELDs. These include the device’s absolute requirement to identify a driver for even very short movements. If you’ve made it this far, congrats! You’ve taken the first step toward not only getting back to business as usual, but also making that business more profitable. Robust telematics platforms that incorporate ELD compliance can also help you improve your fuel efficiency, boost driver safety and raise the quality of service your fleet provides. “Fleets can leverage telematics data for a vast array of applications beyond fuel economy,” Geotab’s Sutarik recommended, noting that 81% of Geotab customers utilize device plans that also offer actionable insight and tools surrounding increased productivity, fleet optimization, improved driver safety and fuel efficiency. “Other telematics data that fleets can benefit from include remote diagnostics, IFTA fuel tax reporting and helping to improve driver behavior by accessing data surrounding speed, harsh braking and idling time,” he said. 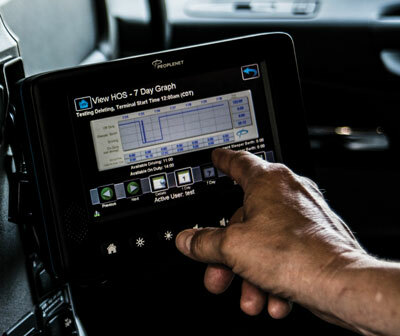 While your drivers are coming to terms with the fact that ELDs will make their jobs a little more confusing and difficult in the short-term, remind them that, long-term, driver safety is one of the ELD advantages. EROAD’s Creager noted that a user-friendly ELD can also improve a driver’s productivity. “Driver retention is a major issue in today’s market and keeping drivers happy and on the road is key to your ultimate success. If they are happy and driving, your fleet costs go down,” he said. Creager pointed to telematics modules and features that enhance operations such as the ability to automate International Fuel Tax Agreement (IFTA) reports to maximize operational savings. Continental’s McCarthy noted that many fleets they work with are also forward looking and anticipating emerging technologies and opportunities.